This honour is given to leading lawyers under the age of 40 who have an outstanding track record of success in their field and have demonstrated exemplary leadership at their firm and in the community. Sana is a deserving winner. Sana is a force to be reckoned with in the IP world, with extensive experience in the life sciences, technology, and energy industries, and in large cross-border disputes. Amongst her peers, she is recognized as a highly skilled litigator with a sharp mind for mastering complex facts and enviable advocacy skills. To clients, Sana has proven to be an exceptional advocate, effective project manager, and trusted advisor. She is particularly known to have a business acumen that is rare among litigators. Simply put, Sana is a formidable courtroom opponent. As well as being a star litigator, Sana makes significant contributions to the legal and broader community. By evangelizing the use of technology in and out of the courtroom, she is demonstrating lawyering of the future and making the legal community think differently about technology and what can achieved. By taking on significant leadership roles within the IP bar, particularly as an unapologetic booster of women in IP, Sana is taking concrete steps to increase the diversity of the Federal Courts. Through her commitment to mentoring, she is actively fostering the development of younger lawyers to follow in her footsteps. These are only a few examples of how Sana sets the bar for others and truly embodies what it means to be a leader and a change agent. 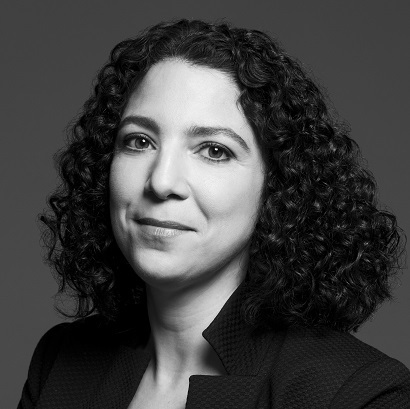 Sana joins Lenczner Slaght partners Shara Roy, Rebecca Jones, Eli Lederman, Matthew Sammon, Monique Jilesen, Mark Veneziano, and Peter J. Osborne in the select group of Canadian lawyers singled out for this prestigious recognition.